OMG Newsletter – December 2018 | Oksana Management Group, Inc. Welcome to December 2018! We hope you had a fantastic Thanksgiving and are now ready to celebrate the rest of this wonderful Holiday Season! Well yes! The new and improved OMG website is here, thanks to the hard work and creativity of our dear friends/collaborators Danijel Marin of Kliknet.org and the wonderful Lorraine Dahlinger! We would love for you to explore it in detail while it’s still in ‘beta’ and send us your feedback on anything that can make it even better. Definitely check out the Sponsors page as you may see your logo there! Please note, If you own a business, you will have the opportunity to be featured on our highly trafficked website AND in our annual Grand Recital Magazine as ‘Sponsors.’ Your message will reach our vast audience of (primarily) parents and home owners. Read more here. Contact us if interested in this opportunity. Running out of creative ideas on what to give a loved one for the holidays? Let us help! 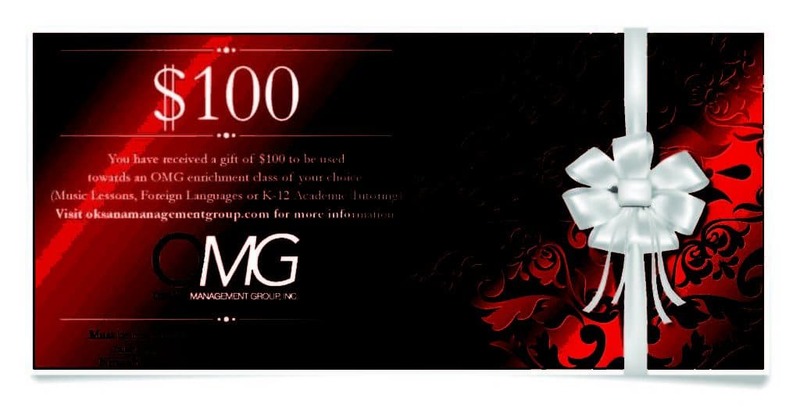 How about a $100 OMG Holiday Gift Certificate valid for ANY of the services we offer? (Please refer to our website for list of services). Contact us to redeem (new clients only) or to purchase your $100 Gift Certificate! So, you’ve been thinking about it but haven’t bought your piano, yet? What are you waiting for?? Give yourself or a loved one the gift of a lifetime! Here’s the opportunity you’v been waiting for! Great condition, brand name uprights from as little as $1,000 and fantastic Baby Grands for as little as $3,000! Delivered anywhere in Southern California, tuned after delivery and one year warranty – all included in your bargain-deal price!! Contact us NOW to schedule a viewing a viewing of our 30+ pianos inventory! 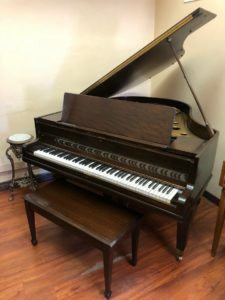 And if you are looking for a Steinway, we can definitely help you as we work in close collaboration with the Steinway Piano Gallery of Beverly Hills! Piano/keyboard course for beginners to be headed by Oksana™ Kolesnikova herself; classes set to begin January 19, 2019 and scheduled to run every Saturday afternoon. Oksana™ Management Group, Inc. has partnered with The Paseo Club of Valencia, a landmark social club featuring modern day amenities and recreational facilities for the whole family, and in so doing is offering group piano and guitar lessons for children of club members and non-members alike. The piano and keyboard course for beginners is to be headed by renowned composer, pianist and businesswoman extraordinaire Oksana™ Kolesnikova, with classes set to begin on January 19, 2019 and scheduled to run every Saturday at The Paseo Club itself. The Oksana™ Management Group, Inc., in offering “The Ultimate Enrichment Experience,” has become recognized by a plethora of families in the Los Angeles area for its premium music lessons (in Piano, Guitar, Singing, Violin and others), foreign language courses (in Spanish, Chinese, Italian, French and more), and K-12 academic tutoring (for Math, Reading, Test Prep and beyond). 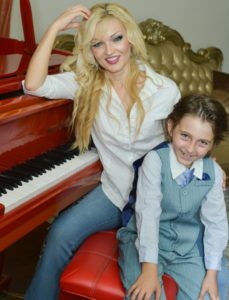 As the agency behind “Pianist to the Stars” and entrepreneur Oksana™ Kolesnikova, OMG recently made news with the announcement of its upcoming ‘Happy Campers’ 2019 summer camp program for children of the Santa Clarita Valley community and has been keenly focusing its efforts on premium-level private tutoring services. Parties interested in signing up for the group piano and guitar lessons at The Paseo Club may do so online at OksanaSchoolofMusic.com/Paseo. Additional information about The Paseo Club can be obtained by visiting ThePaseoClub.com. In case you are new to our monthly newsletter and therefore don’t know, Oksana™ has an active YouTube channel with over 200 videos of her playing anything from Bach to Rock, and nearly 2.5 Million video views to date. And while becoming a skilled pianist himself, our Alessandro is now a part of Oksana™’s YouTube Channel! We hope you enjoy the musical treat. Click here or the image to watch (and like) as many Oksana™ videos as you… like! 🙂 Please remember to subscribe! 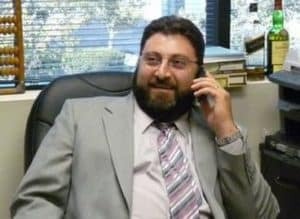 Lastly, CONGRATULATIONS to David Barlavi, Esq. 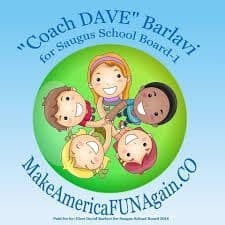 for his recent election to Saugus School Board! Your Team at OMG Inc.